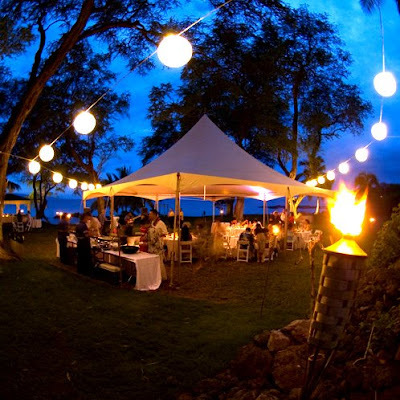 Beach weddings can be very romantic as well as economical. While private venues charge for their lawn, a public beach is free with the exception of a right of entry permit which runs about 20 bucks. Some beaches have low palms, others have beautiful lava formations. Sometimes we take a little trek off the beaten path to hidden beaches that only the locals know about. Please feel free to ask us about them. If you want guaranteed privacy, a private venue is recommended. Either way, you can't go wrong on Maui, the number one island destination in the world.